Long course triathlon & duathlon, ultras/marathons, masters athletes, training/racing/mental preparation and execution, nutrition, strength training and injury prevention. All athletes receive unlimited email and phone access, annual training plans, regular coach feedback, private and group coaching sessions, run gait analysis, HR & Power testing/zone setting, swim stroke analysis, HRV oversight, strength plans as well as access to our trusted network of bike fitters, PTs and specialists. I’m a USAT Level 1 coach and since 2011 I’ve coached athletes to pro card qual, Kona, Norseman (black shirt), 70.3 Worlds, ITU Long Course Worlds (Tri & Du), USAT AG Nats (Tri & Du), State TT podiums and numerous Boston quals. Most of my athletes race long course events (70.3, 140.6, ultra/full/half marathons) which is my area of specialty, but I work with talented, short course athletes also. I’m a 12x Ironman, 4x Kona finisher (2013-15,2017), 4x 70.3 Worlds qualifier (2011, 2013, 2016, 2017) and 9x USAT All American (2010-2018). In 2013 I was the WTC #1 ranked Ironman (M40-44) in the US and #3 Worldwide. 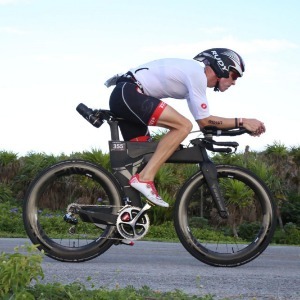 In 2016, I set the course record (at the time) for my AG at IM Cozumel. I limit myself to a handful of athletes who are focused, motivated and committed to progress and who bring positive energy to the table. I'm a big proponent of knowledge transfer, execution and making sure my athletes are progressing in a balanced environment so they can maintain sustainability in the sport. In 2011, I co-founded Meridian Performance with my wife, Jennifer, who is also a USAT coach. While we each coach our specific athletes, each of our athletes benefits from our collective experience, input and attention. Success. Coach Darren Rentch has been notified of your message.